Freelancers comprise of 10 per cent of Singapore’s labour force — it comprises of a massive 20 to 30 per cent in Europe and the United States according to a McKinsey survey in October 2016. Therefore, it makes sense to learn some lessons from overseas. By definition, freelancers face constant threats of income insecurity as they are paid on assignment basis. The formation of a tripartite workgroup means that the government, employers and the unions representing freelancers would come together to think of solutions to issues such as lack of income security and retirement savings. For their efforts to bear fruit, it would be helpful to distinguish the four different types of freelancers or independent workers. They can be differentiated by their choice and type of income and crucially not by legal definition. In both the United States and France, the majority of freelancers are there by choice and they generally report higher satisfaction levels as they have more freedom in choosing the type of work. 1. Free agents. They are freelancers by choice and they derive their primary source of income from their freelance work. They can be professionals such as real estate agents, lawyers, and doctors. They typically leverage on online platforms to find their clients. 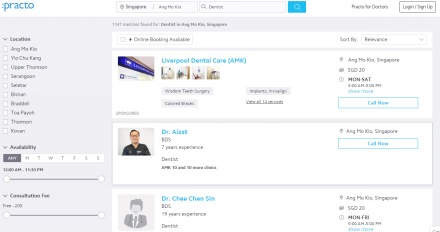 For instance, Practo is used by doctors in countries such as Singapore, Brazil, India, Indonesia and Philippines to advertise their services. Their patients can look for doctors based on their specialty, location, availability and even the consultation fee. 2. Casual earners. They are your students, housewife, retired professors who work for the sake of personal interest and extra income. These people have a steady source of income and their main motivation for working lies in non-monetary factors. As Singapore is metropolitan city, there are a significant number of spouses who follow their other half here for work. One example would be working through solutions like TUTOROO as language teachers. They would teach students who need to learn any language from a native speaker directly. Native speakers of languages that are in demand such as German, French, Spanish, Korean and or Mandarin, can demand a premium for their time for around S$40 to S$50 per hour. The Singaporean startup also empowers native English speakers to teach their mother tongue and become English tutors. 2. Reluctants. These are mainly your displaced workers who have lost their job when their company or sectors are not doing well. For instance, a retrenched oil engineer might be forced to drive a cab because his sector is not doing well, and he can’t put his skills to work in another oil field. 4. Financially strapped. These are the weakest link in society where their main job doesn’t give them sufficient income to support their family. Therefore, they have to take on a second freelancing job after their normal hours. For instance: a janitor who takes on a second job as a housekeeper to make ends meet. The rise of scalable online platforms such as Grab and Honest Bee has increased the number of freelancers which change them into areas of focus. The big question is what kind of freelancers? Income plays an important role. If they are earning S$6,000 per month such as Ms Chen, who drives an Uber full time, then they are likely to be free agents. Choice is another factor. Behind all these changes are the advent of technology and that is something which we can’t choose.